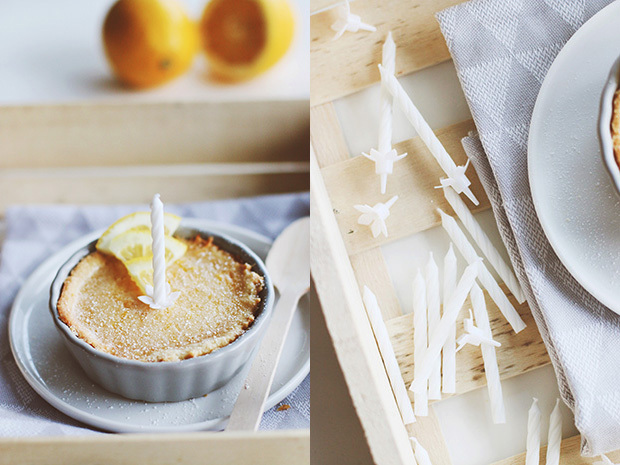 EN About a month ago, I baked these cute little lemon tartelettes for my boyfriend’s birthday. The initial plan was to bake a big cake, but then I somehow changed my mind and decided to go for few smaller cakes. I thought it would look very sweet and it did. 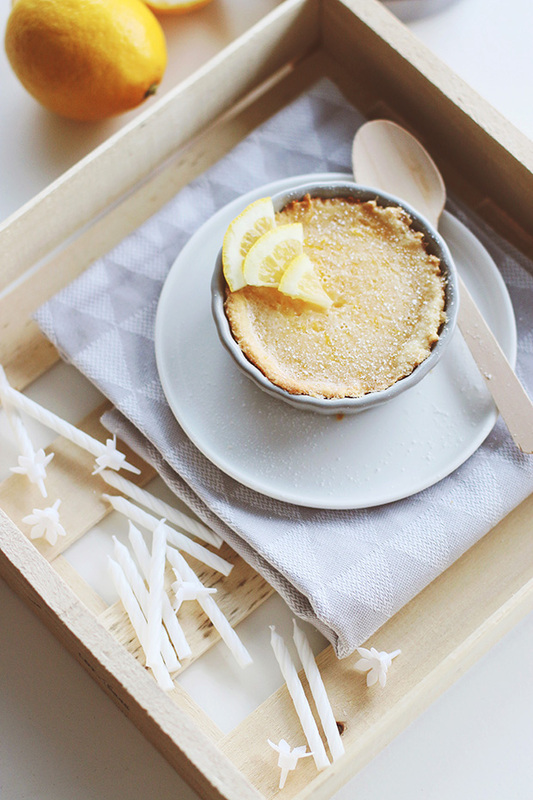 “Something lemon’y” was a wish from my boyfriend and so I started my research what I could prepare and I remembered I ate very delicious lemon tartelette when I was back in Lithuania, so I instantly decided it had to be this. So I searched for a recipe and found the one I am sharing today. It turned out very well. There is something so cute about these little portions, or is it just me?? 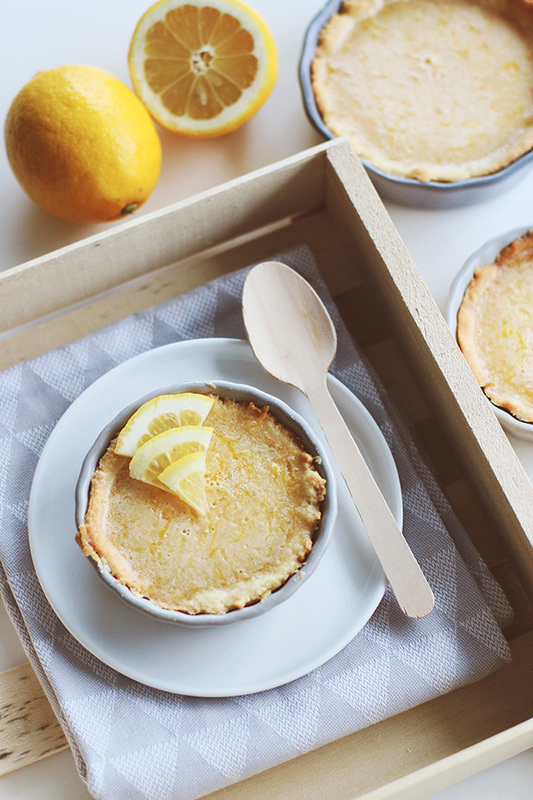 :)) Anyways, very lemon’y, very delicious, lovely and good looking tarts. Little note: the prepared pastry before baking might look too oily, I was worried about that too, but it turned out perfectly crispy and tasty, so there is nothing to worry about that. Another thing, I used different size small tart tins, though the initial recipe is supposed to prepare 36 muffin size tartelettes. I made 5 various size tarts and I had some pastry leftover. Pastebėjimas: paruošta tešla prieš kepimą gali atrodyti per daug riebaluota. Aš pati buvau sunerimusi, kad gali gautis negerai, bet iš tiesų, viskas puikiai gavosi, tešla trapi ir skani, tad nėra dėl ko nerimauti. Kitas pastebėjimas, pradiniame recepte buvo naudota keksiukų kepimo forma, tuomet gaunasi apie 36 mažiukus pyragėlius. Aš naudojau 5 skirtingo dydžio kepimo formas, ir man dar liko šiek tiek nesunaudotos tešlos. – Place the butter, water, oil, sugar and salt in a bowl and melt everything on a medium heat,until the butter is melted and bubbling and beginning to brown around the edges. – Remove from the heat and dump in the flour. Stir quickly, until the dough comes together and pulls away from the side of the dish. – Put a spoon of dough into one tart pan, press it into the base and up the sides using your fingers. Repeat until all dough has been used. – Prick the dough with a fork once or twice. – Bake for 8-12 minutes, until the pastry is golden brown all over. Remove form the oven and allow to cool slightly. – To make the tartelette filling, reduce the oven to 150°C. – Combine the flour and sugar in a medium mixing bowl. 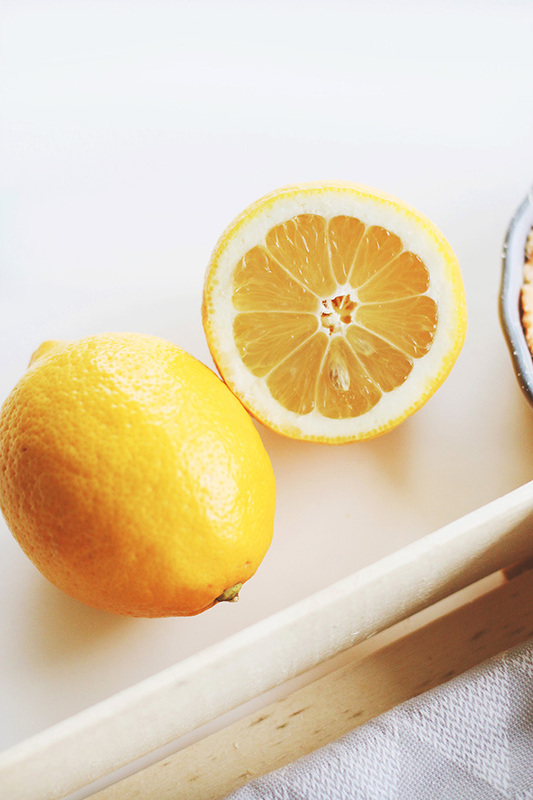 Add lemon juice and zest and mix to dissolve the sugar. – In a separate bowl, whisk the eggs, egg yolk and salt. Add the eggs into lemon and sugar mixture and whisk until well combined. – Put the tart tins back in the oven, pull the oven rack out slightly and pour the filling into each pastry case while it’s still in the oven. – Įkaitinkite orkaitę iki 200°C. – Sviestą, vandenį, aliejų, cukrų ir druską sudėkite į didelį puodą ir kaitinkite ant vidutinės ugnies tol, kol sviestas pilnai ištirps, pradės burbuliuoti ir ruduoti palei kraštus. – Nuimkite nuo ugnies, į išlydytą mišinį suberkite miltus ir greitai maišykite iki tol, kol tešla pasidarys vientisa ir atšoks nuo puodo kraštų. -Dėkite šaukštą ar mažiau/daugiau (priklausomai nuo formos dydžio, kurią naudosite) į formelę, pirštų pagalba paskirstykite tešlą po visą formą ir link indelio kraštų. Taip užpildykite visas kepimo formas. -Su šakute vieną ar du kartus bakstelkite tešlos pagrindą. – Kepkite apie 8-12 minučių, kol visa tešla lengvai paruduos. Tuomet išimkite formas iš orkaitės ir leiskite lengvai atvėsti. – Sumažinkite orkaitės temperatūrą iki 150°C. – Sumaišykite miltus ir cukrų vidutinio dydžio dubenyje. Supilkite citrinų sultis, suberkite tarkuotą citrinos žievelę ir viską gerai išmaišykite, tol kol cukrus ištirps. – Atskirame dubenyje, gerai išplakite kiaušinius, kiaušinio trynį ir druską. Supilkite šią masę į citrinų bei cukraus ruošinį. Viską gerai išmaišykite. – Sudėkite kepimo formas su jau iškepta tešla atgal į orkaitę, tuomet lengvai ištraukite groteles į lauk ir taip supilkite paruoštą citrininį įdarą į kepimo indelius.